The Patrol Division, led by Major Kevin Freeman, includes the Patrol Unit and the COPPS Unit. The Patrol Unit and K9 Unit are responsible for responding to calls for service received through the Communications Unit. 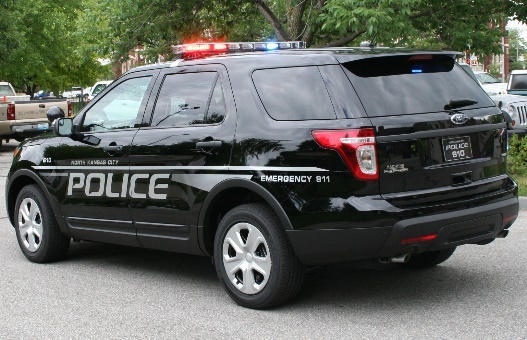 The Patrol Unit is staffed by officers assigned to deliver traditional immediate police emergency response, as well as to initiate more involved criminal investigations. North Kansas City patrol officers are the backbone of visible policing in our community. These are the men and women that are on constant vigil to provide emergency services around the clock, every single day of the year. The North Kansas City Police Department is also committed to the national concept of Community Policing, often ​abbreviated as COPPS, which stands for Community Oriented Policing and Problem Solving. Our COPPS Unit is highly focused on the problem solving aspect of community policing. The two officers assigned to the unit have received many hours of specialized training designed to enhance the problem solving aspect of the police department. The COPPS Unit (Community Oriented Policing and Problem Solving) provides a critical link for our crime prevention programs for the public and our business community, such as Crime Prevention Through Environmental Design (CPTED) and the Safe Residence Program.